As it turns out the first Apple phablet wasn’t quite up to the challenge and was properly beaten by all of its opponents. The iPhone 6 Plus started off against the LG G3 and lost by a two to one margin to the slim bezel smartphone by the Korean company. 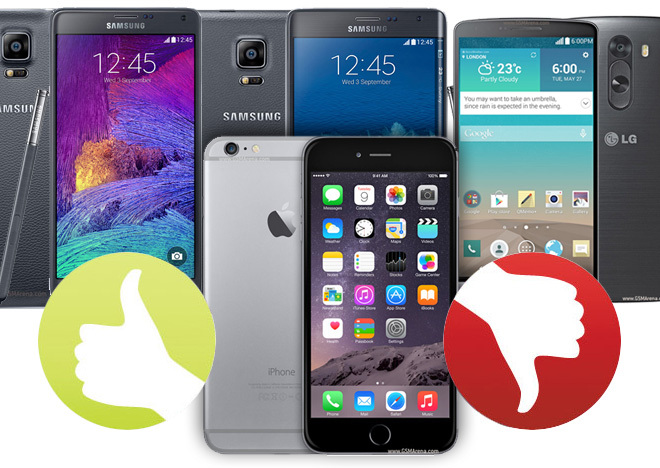 And that was as good as it got for the Apple phablet as the other two fights were even more one-sided. 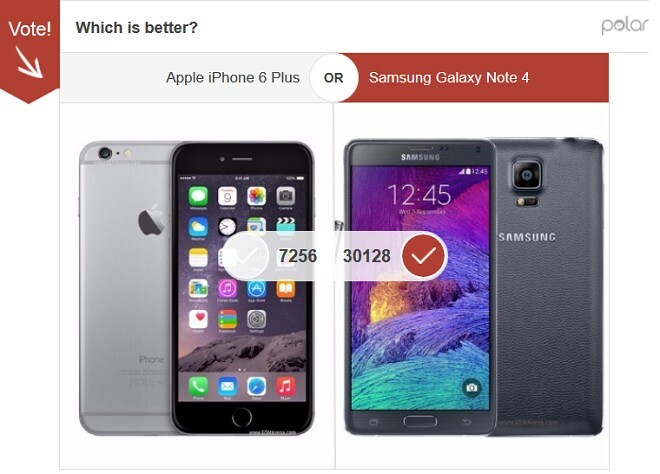 The Galaxy Note 4 got over 81% of the votes, basically killing the iPhone 6 Plus. 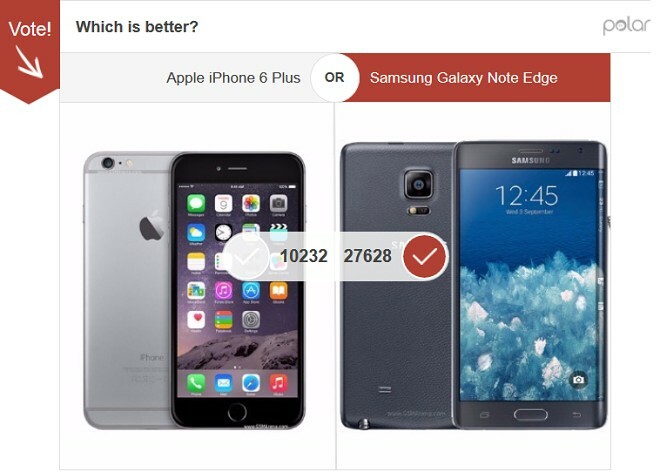 Finally, the futuristic Samsung Galaxy Note Edge won its own match against the Apple iPhone 6 Plus by getting 73% of your votes. 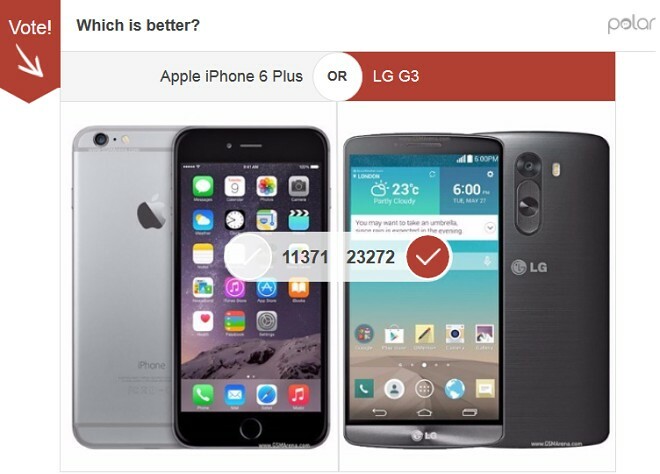 Strangely enough the curved display didn’t help the Note Edge and it didn’t quite get as many votes as the Note 4. So the Apple iPhone 6 Plus is not really your favorite, but perhaps that’s due to the fact that you don’t know it well enough just yet. We’ll be publishing its review this week and if it does well there it might manage to convince a few of you that it’s better that this miserable showing suggests. Stay tuned to find out.